The home affairs select committee released a seminal report yesterday. It is the culmination of work that started on 12 April 2016. The incidents with Naz Shah, Ken Livingstone and Jacqui Walker all came to light or took place after the inquiry was announced. Unless the committee had some great insight that the former mayor of London was due another controversy involving Britain’s Jewish community, it is hard to suggest – as some have done – that this is part of some establishment plot to undermine Jeremy Corbyn. 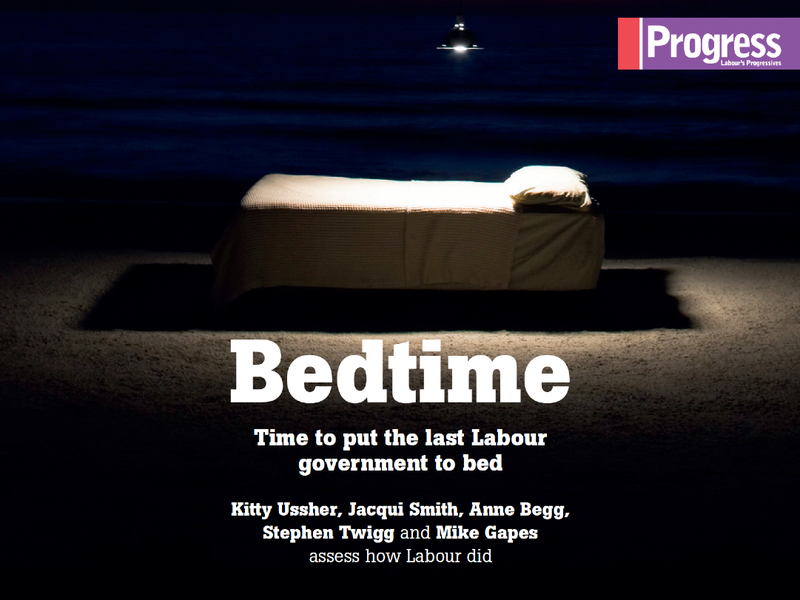 Kitty Ussher, Jacqui Smith, Anne Begg, Stephen Twigg and Mike Gapes assess how Labour did. Richard Angell explains the motivation for this new assessment, and argues that the last Labour government should be the inspiration to be in government again – not the inspiration for the next government. Being backward-looking is a curse in politics. We need to know our history, so that we do not repeat the wrong bits. But pining for a bygone era, or looking to recreate something that has been and gone, never works. Worse still it stops you being able to shape the future. As centre-left people who want a Labour government, this is our task.